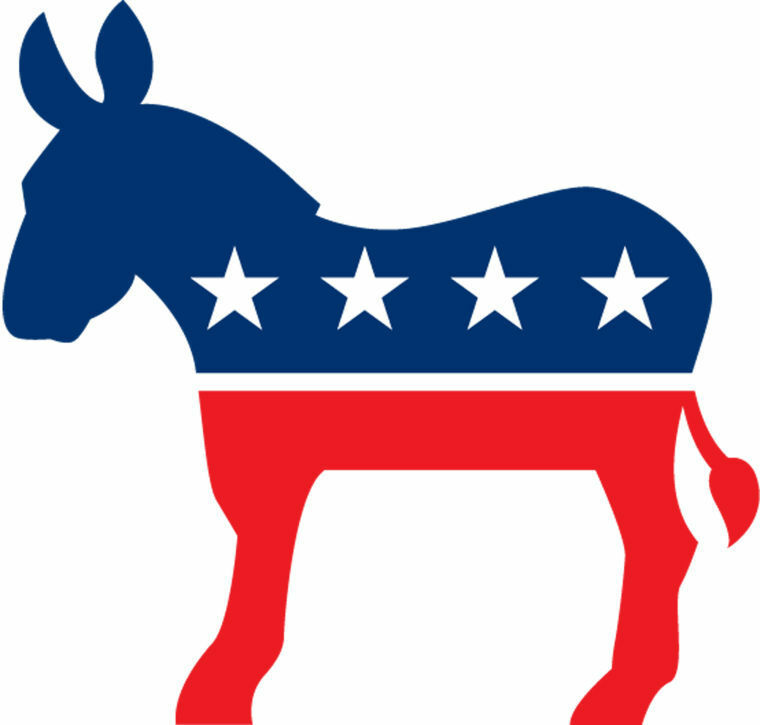 1stAmender - The Libertarian Message To All Democrats - IF You're A Democrat, Read This! Democrat. Or Democratic, for the longer version. The fervent political party that is fighting for a country where everyone, from every walk of life, has a shot at the American dream. A powerful party that stands toe to toe with the Republican party, one of the giant juggernaut of the United States political parties. Generally speaking, I know you are coming from a good place. And for this, I appreciate you in your beliefs. There you go, soak it in, I do want to praise you for your principles. At the same time of my positive messages to the Democrats, I am going to throw in a few negative, but I implore you to keep reading, as perhaps you may just see things my way in the end. For starters, you oppose the government involvement in private noneconomic affairs of it's citizens! Republicans wishes that they could add this to their repertoire. They cannot, because they have favored an authoritarian stance where the Democrats favored a very liberty based stance. One that is founded into the roots of our structure of law, the Constitution. A beautiful doctrine that supports people's rights and their right to privacy, keeping the government out of your bedroom and out of your life. For this, I appreciate you. Democrats also advocate for the civil rights of minorities. While some may see this as just a ploy to get votes for the Democratic party, others would call it compassion. There is a tremendous compassion in every Democrat's heart especially to those of the downtrodden. This is a required measure to have, and even though Republicans possess the Christian values of voluntarily giving, do not possess the trait of a Democrat when it involves many different types of minorities depending on the individual. This is a sad realization of the Republicans to take this stance. But meanwhile, on the Democratic side, they actually look at the downtrodden and want to help. While I do not agree with the exact method used to attain those goals, I enjoy that it comes from a good heart. No Republican or Libertarian can deny that. You support environmental protection programs! Of which, many economies would have eaten themselves alive in the attempt to reap the rewards of vast resources of our planet. This can include highly non-invasive regulations, which even Libertarians can get behind. Regulations like no-fish zones for spawning grounds is a common sense reform I highly doubt any Libertarian would deny. In some instances where the product can be a finite resource, and to destroy that resource in attempt to gain more due to economic pressures would cause that market to simply disappear, and humans needing to find a new resource to gain. (Namely with fishing this can be a very serious issue) With this, I appreciate you Democrats. Now not everything is sunshine and glory to the Democrats. Lately there has been some bad eggs among the Democrats as of late. Of which, I have noticed an increasing number over the past few years, just like the Republicans, have taken the deadly and addictive pill known as authoritarianism. No longer does your party represent compassion in many ways it used to. It now represents forceful seizure of people's assets, instead of voluntary donation. Namely the use of government force to obtain the altruistic goals is a huge blight on the Democratic party, of which is a huge negative externality to the overall goals of the Democratic party. Secondly, the Democrats used to be strong proponents to free speech, but lately have been singing a different tune: "Not if it's hate speech." And because of this, companies and many institutions not seeking to anger anyone, have chosen your side in this debate. Specifically targeting people who have off-color opinions, and actively silencing them for their beliefs. It was the government that fought you for your free speech rights in the 60's. And you fought, and won. We gained the free speech rights, especially if it was deemed "offensive" by the nameless force. But now it is unto people that we shun and actively try to suppress people's right to their own soap box. This is a disgusting notion that is hurting the Democratic party more than one might think. "You think your puny gun is going to stop the government?" "The government isn't going to become tyrannical any time soon." Both of these arguments are invalid. We, the United States, were stopped by Vietnam during the Vietnam war using powerful tactics that were very similar when we defeated the impossibly large British army in the 1700s, gaining our independence. It is in our roots that we have an ability to defend ourselves in the event a government becomes tyrannical. As for the second, a government can and has become tyrannical in the past. Many times even. The largest nations have risen and fallen due to corrupt government. Currently we are in one of the most powerful nations that man has ever conceived of. While this issue may not happen in 50 years, through a series of small policies can enact in the toppling of the United States government into a different government. This wouldn't happen right away. Not all at once. But through a series of policies which can take several generations to fully enact. Regardless, the government can and has become tyrannical. We need to be able to defend ourselves in the event that happens. Regardless. The price is much too high to pay, and this is an authoritarian stance of the Democrats that have caused more trouble than it's worth. Though at the same time, I really do appreciate you for reading the entirety of this article if you have.